The Diaoyutai Islands釣魚臺列嶼 are an island group appertaining to Taiwan under the administrative jurisdiction of Daxi Village 大溪里in Toucheng Township 頭城鎮, Yilan County 宜蘭縣, Taiwan Province. Whether looked at from the perspective of history, geography, geology, practical use or international law, they constitute an integral part of the sovereign territory of the Republic of China (Taiwan). With respect to the international dispute over the Diaoyutai Islands, the Republic of China has consistently expressed willingness to resolve the issue in a peaceful manner under the principles of the UN Charter and international law. To this end, it has proposed the East China Sea Peace Initiative. The Diaoyutai Islands consist of five uninhabited islands—Diaoyutai Island 釣魚臺, Huangwei Islet黃尾嶼, Nan Islet 南小島, Bei Islet 北小島and Chiwei Islet 赤尾嶼—and three rocky reefs. Located to the northeast of Taiwan in the East China Sea, they cover an area of 6.1636 square kilometers. Among them, Diaoyutai Island is the largest at 4.3838 square kilometers. These islands are scattered between 25°40’ to 26° N and 123° to 124°34’ E. They lie 102 nautical miles north of Keelung, the largest port city in northeastern Taiwan, and 230 nautical miles south of Naha, the capital city of Japan’s Okinawa Prefecture. The shortest distance from the rest of the ROC territory is 73 nautical miles (Pengjia Islet 彭佳嶼), and from Japan 76 nautical miles (Yonaguni Island). The Diaoyutai Islands are situated in the northbound path of the Kuroshio Current and share the same monsoon zone with Taiwan. Thus, the air and water currents are favorable for sailing from northern Taiwan to the Diaoyutai Islands, and not favorable for sailing from the Ryukyu Islands to the Diaoyutais. The Diaoyutai Islands are situated on the continental shelf in the East China Sea. Formed by volcanic activity during the Tertiary Period, these rocky outcroppings are undersea extensions of mountain ranges in northern Taiwan, including Datun Mountain 大屯山 and Guanyin Mountain 觀音山. They are geologically a part of the same island chain as Huaping Islet 花瓶嶼, Mianhua Islet 棉花嶼 and Pengjia Islet, all of which are also situated northeast of Taiwan. The water surrounding the Diaoyutai Islands is less than 200 meters deep. In contrast, the Okinawa Trough, which lies east of the group’s easternmost islet of Chiwei and south of the Nan Islet and separates the Diaoyutai Islands from the Ryukyus, ranges between 500 and 2,717 meters deep. Chinese historical records refer to this natural boundary between China and the Ryukyu Islands as Heishuigou 黑水溝 (Black Water Trough) due to its dark water. Geologically, the oceanic crust beneath the Okinawa Trough is different from the continental crust beneath the East China Sea. Therefore, judging from the depth of the surrounding waters and their geology, the Diaoyutai Islands and the Ryukyu Islands are clearly unrelated. According to official documents from the Ming and Qing dynasties (1368-1911), the Diaoyutai Islands were first discovered, named and used by the Chinese. Although long uninhabited, they were neither terra nullius (ownerless land) nor part of the Ryukyu Islands prior to their secret annexation by Japan in 1895. Chinese ownership of the islands was recognized by both the governments and peoples of Japan and the Ryukyus before 1895. The Diaoyutai Islands first appeared in Chinese historical records as early as 1403 during the Ming dynasty in the monograph Seeing off with a Favorable Tailwind 順風相送, indicating that these islands were discovered, named and used by the Chinese. In the centuries that followed, the Ming and Qing courts sent several investiture missions to the tributary state of the Ryukyu Kingdom for the purpose of bestowing the formal title to a new Ryukyu ruler. Chinese imperial envoys (or their deputies) kept detailed mission records (collectively known as Records of the Imperial Mission to Ryukyu 使琉球錄) that clearly described the geographical location of the Diaoyutai Islands and their border with the Ryukyu Kingdom, making the islands an important landmark along the China-Ryukyu navigation route. Throughout the Qing dynasty, some of the envoy mission records further specified that the Black Water Trough—which separated China and the Ryukyu Kingdom and is known today as the Okinawa Trough—forms a boundary between China and the outside world. The earliest such reference to the Diaoyutai Islands dates back to the Records of the Imperial Mission to Ryukyu by Chen Kan 陳侃 in 1534. In 1556, Zheng Shungong 鄭舜功, a Ming envoy to Japan, also recorded in A Glimpse into Japan 日本一鑒 the following passage, “Diaoyutai Island is a small islet belonging to Xiaodong 小東 [ancient name of Taiwan],” with an illustrated map that also included the islands. Clearly the Diaoyutai Islands appertained to Taiwan by the mid-16th century. During the Ming dynasty, Japanese pirates ravaged the southeast coast of China. In 1561, Zheng Ruozeng 鄭若曾 showed the Diaoyutai Islands in his Coastal Defense Map 萬里海防圖. The next year, Hu Zongxian 胡宗憲, then Minister of Defense and commander-in-chief, included the Diaoyutai Islands in the Coastal Territories Map 沿海山沙圖 as part of the Compilation of Maps on Managing the Sea 籌海圖編, thereby incorporating the islands into the defense system for China’s southeast coast. In 1871, Chen Shouqi’s 陳壽祺 Recompiled General Gazetteer of Fujian重纂福建通志 further listed Diaoyutai Island under Kavalan Office of Taiwan in Volume 86, Coastal Defense and Strategically Important Places in All Districts海防．各縣衝要. Given that these local gazetteers served primarily “to record history, assist governance, and inform the populace,” their documentation of Qing marine patrol ships anchoring at Diaoyutai serve as both historical records and evidence of the Qing government’s continuous rule. These local documents prove that the Diaoyutai Islands indeed were islands appertaining to Taiwan and formed part of the inherent territory of Qing China. Moreover, the official Map of Imperial China and Foreign Lands 皇朝中外一統輿圖, published in 1863, marked the Diaoyutai Islands as part of China, as did foreign maps around that time. One example was An Illustrated Description of the Three Countries: The Map of the Three Provinces and 36 Islands of Ryukyu 三國通覽圖說?琉球三省并三十六島之圖 published in 1785 by Shihei Hayashi林子平, a renowned Japanese military scholar. In this map, Hayashi marked the Diaoyutai Islands and China in red, and the 36 Ryukyu Islands in light yellow, showing that the Diaoyutai Islands belonged to China and were neither a part of the Ryukyu Islands nor terra nullius. In 1879, just before Japan abolished the tributary kingdom of Ryukyu and renamed it Okinawa Prefecture, Kochi ueekata Chojo Sho Tokuko 紫金大夫向德宏 wrote an official letter in reply to Japanese Foreign Minister Munenori Terashima 寺島宗則, confirming that the Ryukyu Islands consisted of 36 islets and that the “long stretch of” islands between Kume Island and Fuzhou belonged to China. In 1880, Japan’s minister to China presented a proposal to China’s Zongli Yamen 總理衙門 [foreign affairs office] that the Ryukyu Islands should be divided between the two countries, which provided further evidence that no terra nullius existed between China and the Ryukyu Islands. The names of the three major islets of the Diaoyutai Islands (Diaoyutai Island, Huangwei Islet and Chiwei Islet) are all related to “fish” in Mandarin, showing that the people of China long ago realized that this area abounds with aquatic fauna, especially skipjack tuna and mackerel. In addition, due to the region’s favorable geographical and climate conditions, it has been a traditional fishing ground for people based in Taipei, Keelung and Suao in northeastern Taiwan. They have used the islands for hundreds of years. This was the case before and during Japanese colonial rule (1895-1945), and continued after Taiwan’s restoration to the Republic of China (1945). In fact, this remained true until the early 1970s, when the United States “returned” administrative control of the Diaoyutai Islands and Ryukyu Islands to Japan, whose ships then started to interfere with the operations of Taiwanese fishermen in the Diaoyutai waters. 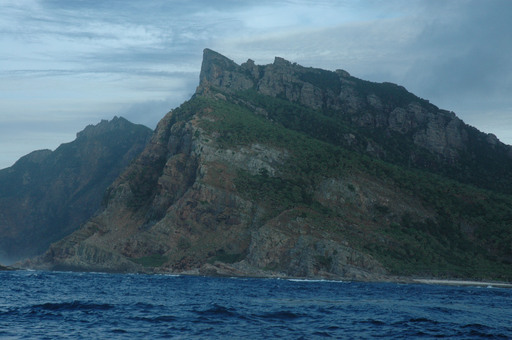 In fact, even after Japan occupied Taiwan in 1895 and placed the Diaoyutai Islands under the jurisdiction of Ryukyu (Okinawa Prefecture), renaming them the Senkaku Islands in 1900, the Japanese governor-general of Taiwan continued to designate the Diaoyutai Islands and their surrounding waters as major skipjack tuna fishing grounds for Taiwanese fishermen in 1920. The area was also listed among Taiwan’s “important fishing grounds” in Taiwan’s Marine Products 臺灣水產要覽 published by the governor-general’s office in 1925. The origin of modern international law extends back to 16th- and 17th-century Europe. When the Diaoyutai Islands were found, named and used by the Chinese in the 15th century, modern international law had yet to come into existence. Therefore, it would not be appropriate to apply the principles of modern international law to Asian countries of the past, as such legislation was non-existent at the time. Nevertheless, by the strict standards of modern international law, the ROC’s sovereignty claim over the Diaoyutai Islands still stands. (1)	The Diaoyutai Islands were not terra nullius in 1885. As such, Japan’s claim of sovereignty over the Diaoyutai Islands by virtue of “discovery-occupation” is invalid. According to official historical records, the Diaoyutai Islands were found and named by the Chinese, who had used and incorporated them for hundreds of years before Japan secretly annexed them in 1895. Taiwanese fishermen have continued to use the islands and their surrounding waters. Moreover, both Chinese and foreign maps of the 18th and 19th centuries marked the Diaoyutai Islands as Chinese territory. These concrete facts cannot be denied. As such, Japan’s claim of sovereignty over the Diaoyutai Islands by virtue of “discovery-occupation” under international law was invalid ab initio (from the onset), as such claims can only be made with respect to terra nullius. Before 1895, the Diaoyutai Islands had appertained to Taiwan, not the Ryukyu Islands, for more than 300 years and had been included in Qing China’s territory along with Taiwan for over 200 years, demonstrating clearly that they were not terra nullius at that point in history. In addition, this fact was recognized by experts and government officials from both Japan and the Ryukyu Islands at that time. Therefore, Japan’s current claim of sovereignty over the Diaoyutai Islands was null and void ab initio under international law, and as a result, has never been binding. Moreover, the issue of sovereignty over the Diaoyutai Islands is strongly linked to the cession of Taiwan after the First Sino-Japanese War. In 1879, Japan annexed the Ryukyu Islands and embarked on a path to further expand its territory. According to related documents stored at Japan’s Ministry of Foreign Affairs, National Archives and National Institute for Defense Studies, the Japanese government’s territorial ambitions regarding the Diaoyutai Islands began in 1885. That year, Japan’s Home Minister Aritomo Yamagata 山縣有朋 ordered Okinawa Governor Sutezo Nishimura 西村捨三 to survey the Diaoyutai Islands with the aim to set up a national marker on the islands. However, Nishimura reported in his survey that, as these islands had been discovered long ago by China and named and recorded in its official documents, the plan was inappropriate at that time and should be postponed. Undeterred, Yamagata secretly consulted with Minister of Foreign Affairs Kaoru Inoue 井上馨. Inoue replied in a highly confidential document (No. 38) that “Chinese newspapers have recently reported that Japan is planning to seize Qing islands near Taiwan. It would therefore be appropriate to postpone erecting a national marker to avoid arousing the Qing state’s suspicion.” Inoue further instructed that the matter “must not be made public through official gazettes and newspapers.” The Meiji government’s plan to establish a national marker was thus thwarted. 3. Japan secretly occupied the Diaoyutai Islands as it defeated Qing China in the First Sino-Japanese War. In July 1894, the First Sino-Japanese War broke out. By October, Japan had gained decisive victories both on land and at sea. Recognizing the balance of power had shifted and believing that the time was right, its Cabinet secretly granted permission to Okinawa Prefecture on January 14, 1895, to establish a national marker on the Diaoyutai Islands. These historical documents not only serve to refute the statement by Japan’s current government that “surveys of the Senkaku Islands had been thoroughly made,” but also demonstrate that the Japanese government annexed the Diaoyutai Islands during the First Sino-Japanese War of 1894-1895. (4) The Diaoyutai Islands should have been restored to the Republic of China along with Taiwan after the Second World War. When Qing China was on the verge of losing the First Sino-Japanese War, Japan seized the opportunity to annex the Diaoyutai Islands, which appertain to Taiwan. In accordance with the Treaty of Shimonoseki, Taiwan was ceded to Japan. Article 2 of this instrument stipulated that Taiwan included “the island of Formosa [Taiwan], together with all the islands appertaining or belonging to the said island of Formosa.” The Diaoyutai Islands, as a part of “the islands appertaining or belonging to the said island of Formosa,” were ceded to Japan along with Taiwan. Therefore, the Treaty of Shimonoseki provided the only legal basis for the 50 years of Japanese rule over Taiwan, including the Diaoyutai Islands, starting in 1895. On December 9 [Taipei Time], 1941, the day after the Japanese attack on Pearl Harbor, the Republic of China declared war against Japan, stating that “all treaties, conventions, agreements and contracts regarding relations between China and Japan are and remain null and void.” On December 1, 1943, the Republic of China, the United States and the United Kingdom jointly promulgated the Cairo Declaration, which stipulated that the purpose of convening the Cairo meeting was to ensure that “all the territories Japan has stolen from the Chinese, such as Manchuria, Formosa, and the Pescadores (Penghu), shall be restored to the Republic of China. Japan will also be expelled from all other territories which she has taken by violence and greed.” On July 26, 1945, Allied countries, namely, the Republic of China, the United States, the United Kingdom and the Soviet Union, issued the Potsdam Proclamation, Article 8 of which stated that “the terms of the Cairo Declaration shall be carried out.” In the Japanese Instrument of Surrender signed on September 2, 1945, after the Japanese Emperor announced the country’s unconditional surrender, Japan clearly accepted the Potsdam Proclamation. That is, the Japanese Instrument of Surrender combined all three documents. In 1969, the US Department of State put the three documents in volume 3 of Treaties and Other International Agreements of the United States of America, 1776-1949. The Japanese Instrument of Surrender was also included in volume 59 of The United States Statutes at Large published in 1946, as well as volume 139 of The United Nations Treaties Series published in 1952. This document is, therefore, legally binding on Japan, the United States and the Republic of China. Moreover, both the 1951 San Francisco Peace Treaty and the 1952 Treaty of Peace between the Republic of China and Japan stipulate that “Japan has renounced all right, title and claim to Taiwan (Formosa) and Penghu (the Pescadores).” In addition, Article 4 of the 1952 Treaty of Peace between the Republic of China and Japan further indicates that “All treaties, conventions, and agreements concluded before 9 December 1941 between Japan and China have become null and void as a consequence of the war.” Article 10 of the Treaty also confirms that all the inhabitants and former inhabitants of Taiwan (Formosa) and Penghu (the Pescadores) and their descendents are nationals of the Republic of China. The Treaty’s Exchange of Notes No. 1 confirms that the Treaty is applicable to ROC territory. Therefore the Diaoyutai Islands should have been restored to the Republic of China. (5) Japan cannot use the principle of prescription in international law to justify its occupation of the Diaoyutai Islands. After disputes regarding sovereignty over the Diaoyutai Islands occurred in 1971, Japan claimed that “From the 28th year of the Meiji Period (1895) till now (1971), no objection from foreign powers had been made to Japan’s use of these islands.” Based on the historical circumstances, this claim is invalid. During the period between 1895 and 1945, not only the Diaoyutai Islands, but also the entire island of Taiwan, were subject to Japanese occupation, and were therefore part of Japan’s territory. As such, no other country challenged Japan’s use of either Taiwan or the Diaoyutai Islands. Between 1945 and 1972, while under the trusteeship of the US government, the Diaoyutai Islands were not ruled by Japan nor controlled by any other country. Therefore, US trusteeship did not have any significance in terms of sovereignty. During this period, the people of Taiwan, particularly fishermen, continued to use these islands without interference. Moreover, as the US armed forces assisted in defending the Taiwan Strait in accordance with the 1954 Mutual Defense Treaty between the United States and the Republic of China, there was no need for the Republic of China to negotiate with the United States on this issue. From 1968, however, disputes over the Diaoyutai Islands arose. The ROC government has repeatedly claimed sovereignty and lodged numerous diplomatic protests with Japan. Therefore, Japan’s argument involving the principle of prescription is groundless. As for the transfer of administration rights over the Diaoyutai Islands and the Ryukyu Islands from the United States to Japan in 1972, the United States officially notified the Republic of China on May 26, 1971, stating that it would restore to Tokyo the administration rights it had acquired from Japan and that this would not jeopardize any of the ROC’s sovereignty claims. The US Senate later clarified that the US stance on the sovereignty issue was neutral and that the transfer of the Diaoyutai Islands’ administration rights would not affect the basic position of any of the claimants. Judging from related diplomatic documents, the United States adopted—and has since maintained—a neutral stance on the Diaoyutai Islands’ sovereignty issue, which it believed should be resolved through bilateral negotiations between the Republic of China and Japan. Moreover, according to the Potsdam Proclamation, “Japanese sovereignty shall be limited to the islands of Honshu, Hokkaido, Kyushu, Shikoku and such minor islands as we [the Allies] determine.” The United States regards the Potsdam Proclamation as a treaty, which was incorporated into the Japanese Instrument of Surrender and has binding power on the United States. Therefore, the United States does not have the right to unilaterally decide who possesses sovereignty rights over the Diaoyutai Islands. The Diaoyutai Islands were discovered, named and used by the Chinese in the 15th century, and were integrated into the Chinese coastal defense system during the Ming dynasty in the middle of the 15th century. After the Qing dynasty came to power in the 17th century, the islands, along with Taiwan, were incorporated into Qing China, as they appertain to Taiwan, and placed under the jurisdiction of Taiwan Prefecture. Like Pengjia Islet, the Diaoyutai Islands are clearly an inherent part of the territory of the Republic of China. In the late 19th century, driven by expansionism, Japan attempted to occupy the Diaoyutai Islands. Due to a lack of power, however, it initially did not attempt to do so. Following a period of 10 years, Japan took advantage of the First Sino-Japanese War to secretly occupy the Diaoyutai Islands. Today, Japan is not willing to return the islands to the Republic of China in accordance with the 1943 Cairo Declaration, the 1945 Potsdam Proclamation, Japan’s Instrument of Surrender of 1945 and the 1952 Treaty of Peace between the Republic of China and Japan. Japan’s actions have seriously affected the relations between the Republic of China and Japan, as well as regional security and stability. Ever since disputes over the Diaoyutai Islands started to emerge in the late 1960s, the ROC government has staunchly upheld the policy of “safeguarding sovereignty, shelving disputes, pursuing peace and reciprocity, and promoting joint development.” It has also expressed willingness to resolve disputes through peaceful means in line with the UN Charter and relevant international laws and to enter into negotiations with Japan so as to shelve controversies and jointly explore and develop resources, with the aim of maintaining sovereignty, defending the rights of our fishermen and resolving disputes. In September 2012, the Japanese government’s move to nationalize three of the Diaoyutai Islands raised tension in the East China Sea. The Republic of China immediately lodged a protest and, in the spirit of the East China Sea Peace Initiative proposed by President Ma Ying-jeou on August 5 of the same year, called upon all parties concerned to (1) exercise restraint and refrain from taking any antagonistic actions; (2) shelve controversies and not abandon dialogue; (3) observe international law and resolve disputes through peaceful means; (4) seek consensus on a Code of Conduct in the East China Sea; and (5) establish a mechanism for cooperation on exploring and developing resources in the East China Sea. Concrete steps include moving from “three sets of bilateral dialogue to one set of trilateral negotiation,” by “replacing confrontation with dialogue” and “shelving controversies in favor of consultations,” so as to discuss the possibility of jointly exploring and developing resources in the East China Sea. Since its announcement, the East China Sea Peace Initiative has received international recognition and affirmation. On April 10, 2013, the Republic of China and Japan formally signed the Taiwan-Japan Fisheries Agreement following the 17th round of bilateral fishery negotiations. This agreement, which embodies the spirit of the East China Sea Peace Initiative with regard to resolving disputes through peaceful means, successfully protects the rights and interests of ROC fishermen operating in the East China Sea. The government of the Republic of China will continue to uphold its sovereignty over the Diaoyutai Islands and, in the spirit of the East China Sea Peace Initiative, seek peaceful and pragmatic solutions to disputes and endeavor to safeguard regional security.